Learn the ins and outs of creating a positive relationship when working with your local building department, right off the bat. The inclusion of straw bale construction in the 2015 International Residential Code (IRC) has made it easier to get insurance and lending for straw bale homes. It may not be as easy as getting insurance and lending on conventional homes yet, but we are making major headway. Allow me to share with you what I have learned over my 20 years as a professional builder and land developer. All tweaks and adjustments aside, this will be a good footing to start out on for anyone interested in the start to finish process of finding, developing, and building on raw land. 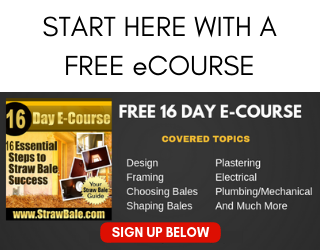 We Have a National Straw Bale Building Code! 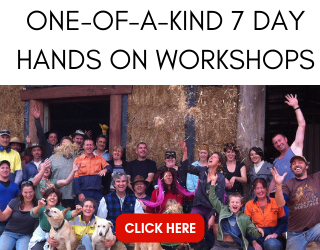 This is perhaps the most exciting day in straw bale construction history. The proposed appendix on straw bale construction was approved at the International Code Council (ICC) Final Action Hearings in Atlantic City on October 4, 2013! As a result, we now have a national straw bale building code! 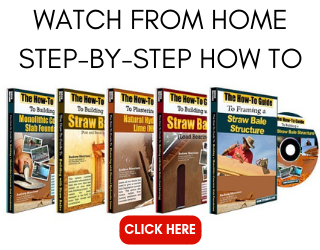 The creation and acceptance of a straw bale building code in the INternational Residential Code and the International Building Code would be a huge step forward for straw bale construction. Please suppor the efforts to get the proposed code accepted.